The local authority is forcing the rehoming of these three beauties, who are 15-month old sisters. 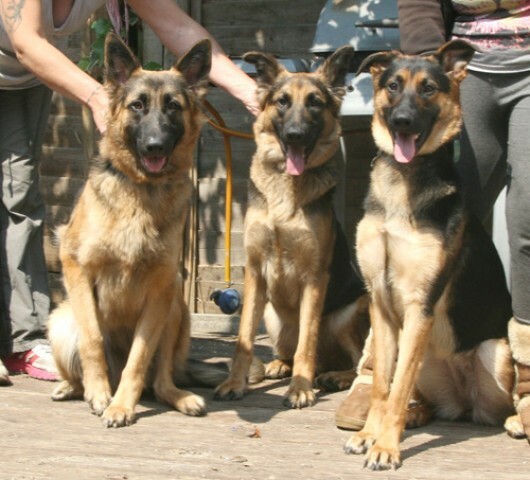 Angel, on the right, is short-coated, the other two are semi. They have wonderful temperaments and after the usual noisy GSD greeting, they quickly settled and wanted attention from our assessor. They have been socialised with other dogs. Good with children and cats, housetrained, vaccinated and microchipped, we believe they will all make terrific family pets. They can be adopted singly or in combination - is there a brave soul out there who wants all three? !